Your carer might be struggling to balance work, family and friends while caring for you. Maybe they need some time to go to an appointment, would like time to visit friends, go on a holiday or simply feel like they need some time away from it all. Having a break from the caring role can help relieve stress and help you both to recharge, which will ultimately benefit both you and your carer. Whether it is for a couple of hours, a few days or a number of weeks, respite care can give your carer the time to do activities for themselves while knowing that you are well looked after. A care worker will come to your home to look after you, so your carer can go out for a few hours, or they will take you out for a coffee or a walk. This type of respite is available during the day or overnight. Through centre based respite care you can attend social and recreational activities in a centre based setting for a couple of hours during the day. You might go to a day club or respite centre for group activities. The centre is staffed by trained respite workers. A respite care worker will come stay with you overnight to look after you, or you can spend the night away from home in a respite house or cottage. Provided either individually or in a group, a care worker will accompany you to a community based activity like a social event or outing. This gives you the opportunity to have a social experience and interact with others. This is a package of respite services, tailored to your personal situation. A package may include some residential respite combined with in-home respite and allocation for emergency respite. Consumer Directed Respite Care gives you a greater say and more control about respite services provided to you. If your carer needs to go to hospital or would like to go on a holiday, but you need help every day, you can move into a nursing home for a short stay to receive respite care. You’ll return home when your carer is back to care for you. If you need respite urgently, for example because your carer suddenly falls ill and can’t look after you, you can contact your local Commonwealth Respite and Carelink Centre on 1800 052 222 during business hours, or 1800 059 059 for emergency respite after hours. There is no fixed time for when to use respite care but it is best not to wait until you or your carer are too stressed or overwhelmed with the caring responsibilities before considering. If your carer feels like they need a break, they should trust their instincts and try not to feel guilty. It is important they look after themselves so they can continue to care for you. Sometimes it is a good idea to start respite early so you can get used to someone else looking after you and become familiar with a new place. 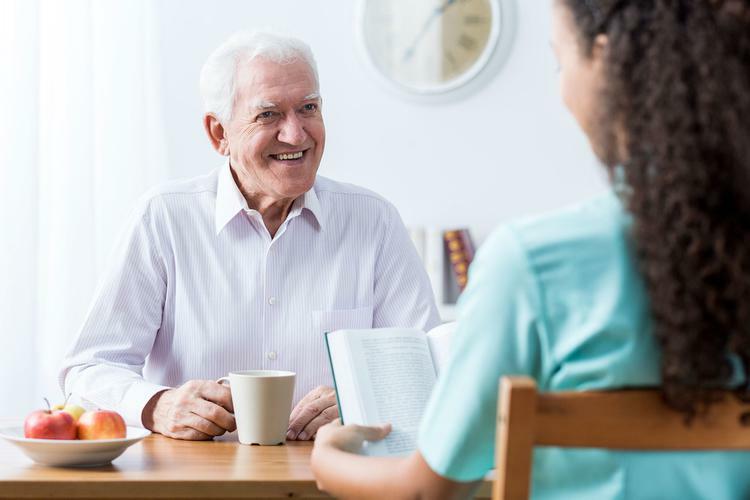 You can also use respite care in a nursing home as a way of finding out about the quality of care before deciding if the home is a good place for you to permanently move into. Subsidised respite care in an in-home or community care setting is available through the Commonwealth Home Support Programme (CHSP). You will need to be assessed by the Regional Assessment Service (RAS) to determine what type of care suits your needs and situation. A respite bed in a nursing home generally has to be booked in advance, although in cases of emergencies it can be organised quite quickly. To access respite in a nursing home you’ll need to be assessed by an Aged Care Assessment Team (ACAT) to decide the level of care you require. Respite care is offered by Government funded community care services and nursing homes but can also be provided by private organisations. The cost of respite care varies and depends on the services you access. Some services are free, others may attract a small fee. If you can afford to, you will be expected to contribute to the cost of respite care. How much you’ll have to pay depends on your income. If you access residential respite in a nursing home you’ll be charged a daily fee to cover the cost of your care. The maximum daily fee for a respite resident is set by the Government at 85 percent of the single basic Age Pension. This is currently $843.60 per fortnight and 85 percent of this is $717.06 per fortnight or $51.21 per day. Because the stay is temporary, you don’t have to pay an accommodation charge or bond. Before deciding on an out-of-home respite provider try and visit a couple to get a feel for their services. Observe participants and staff interaction and try to picture yourself there. Ask lots of questions and make sure you feel comfortable with your choice. What is the level of training and experience of the care providers? Is there a ratio of care workers per number of participants? Does the provider cater for special needs (cultural/dementia)? Does the program include meals and/or transportation? For more information about respite options you can contact your local Commonwealth Respite and Carelink Centre on 1800 052 222 during business hours.